A globe-trotting bad boy chases the one that got away in this addictive novel from the New York Times bestselling author of The Contract. My name is Adam Kincaid, and I’m the best at what I do. After losing my parents, I decided to follow in their footsteps, and now I’m the most daring freelance photographer in the world. Maybe some think I’m a loner, but I don’t care. All that matters is the shot: braving danger and devastation in search of a single image with the power to tell someone’s story. But as good as I am, accidents happen—and thank god for that, because it’s what leads me to her. . .
Alexandra Robbins. My nurse. My savior. With her fiery red hair and crystal-clear blue eyes, the camera loves her . . . and I have to have her. We soon find that we’re perfect together. We just fit, physically and emotionally. And yet something isn’t right. Something from her past is haunting her, and no matter what I do to help her break free, I lose her. Today is the day I try to win her back. Not only do I need an explanation, I need her in my bed once again. I don’t just want a damn picture—I want her. Because what we have is a love that never fades away. . .
A copy of this book was provided through NetGalley in exchange for an honest review. Well Melanie Moreland has done it again. I have never had an author who can write on such diverse story lines as Ms. Moreland does and have her books always come up a winner. From a marriage of convenience to instant attraction to second chances her books are always a treat to read. 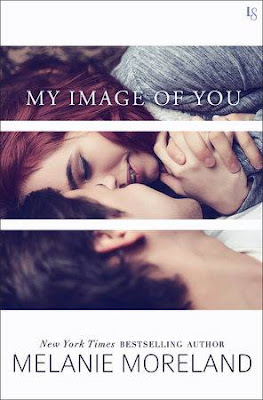 My Image of You is a moving and stunning story of Adam and Ally (Adam’s nickname, short for Alexandra) who meet by chance when Adam, a professional photographer, ends up in the hospital after performing a daring feat to get the perfect picture. Ally is his attentive and caring nurse. The chemistry is instant, but Ally hides secrets that makes her hard to get to know, let alone have a relationship with. 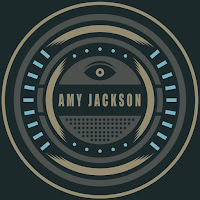 Adam, not one to give up, pursues her till he gains her confidence to learn her secrets and then assures her his love is strong enough to understand. Don’t we all wish for that kind of person in our life!! Of course there are the ups and downs and difficulties to overcome, and one of them is a doozie! But when you are soul mates, even when the mind can’t remember, the soul does! And I have to add that Ms. Moreland writes with such grace that her words flow effortlessly into this amazing story making you believe in these two characters at every turn of the page. One part romance, one part humor, one part emotion and a dash of angst, with lots of true love......throw them in a bowl, mix them up and you have My Image of You!! A perfect recipe for a perfect book. “Tell me,” she insisted, her fingers curled into fists at her sides. New York Times/USA Today bestselling author Melanie Moreland, lives a happy and content life in a quiet area of Ontario with her beloved husband of twenty-seven-plus years and their rescue cat Amber. Nothing means more to her than her friends and family, and she cherishes every moment spent with them. While seriously addicted to coffee, and highly challenged with all things computer-related and technical, she relishes baking, cooking, and trying new recipes for people to sample. She loves to throw dinner parties, and also enjoys travelling, here and abroad, but finds coming home is always the best part of any trip. Melanie delights in a good romance story with some bumps along the way, but is a true believer in happily ever after. When her head isn’t buried in a book, it is bent over a keyboard, furiously typing away as her characters dictate their creative storylines to her, often with a large glass of wine keeping her company. Congratulations on the tour! Thank you! Enjoyed the blurb and excerpt. Sounds good. Nice review too. Thanks for the giveaway chance.